I am a super dork and find some kind of sick peace in running my budget, allocating all of my dollars and cents, and getting my end number to come to zero. I love excel sheets. I love the old-fashioned paper and pen. I’ve experimented with apps and messed with slush funds. As circumstances have changed through my life, I’ve used different types of budgets that fit my paycheck lifestyle. One thing never changes, though. It’s the singular rule that keeps me money zen instead of money stressed. 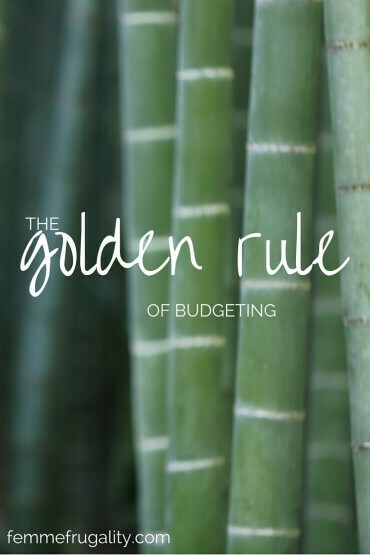 It’s the golden rule of budgeting. Budgeting liberally means when you think you’ll spend $75 on gas this month, you budget $100. It means that however much you think you’ll need, you schedule in more. It means not fudging the numbers to an unrealistic low in order to fit your income. When you get your numbers, you can see if you need to hustle to bring in more. This is far better than getting to the end of the month and realizing you should’ve hustled to earn more, because now you don’t have enough food to put on the table. Be frugal. Cut coupons. Don’t make impulse purchases. Use whatever tricks you have up your sleeve to come in under that liberal budget you drew up at the beginning of the month. Way under is preferable. If something comes up during the month where you have to spend a little more than you were expecting, you’re prepared. Instead of being low on cash, you’ll have more leftover than you were expecting. Any extraneous checking account funds at the end of your pay period can go into savings. You won’t have to pull out the credit card, and you can watch your net worth, instead of debt, grow and grow and grow. This is the underlying philosophy I have used to write all of my budgets. What are your budgeting philosophies? This entry was posted in Money Management, Think on September 2, 2015 by femmefrugality. That is a great budgeting philosophy, and I can see how it could apply to so many areas of life even beyond budgeting. I haven’t really formalized a budgeting philosophy, but I suppose it is the same as my overall money philosophy: you can have anything you want, but you can’t have everything you want. The trick is figuring out what you want (harder than it sounds!) and then spending your money in alignment with that. That’s a great one if you ask me!!! Write it down. Everything. That’s my philosophy because we spend so much time on autopilot trying to automate our lives that we’re in this trance sometimes where we don’t think about what we’re doing or why we’re doing it. Super smart! You can’t fix the problem until you know where the problem is. Honestly, a lot of people in the US don’t like to use coupons, anyways. It can be time consuming. As long as I’m doing my best to come in under, that’s what matters in my book. I use this same rule- I call it paying myself last too. Basically I overbudget and then have the opportunity to sweep leftovers towards my goals. Exactly. While I do include some savings on my initial budget, this really pushes it over the top. Yeah that makes sense because there are always a million unexpected things that always seem to pop up. No problem, Ruth! Once you start tracking is amazing how intentional you can get with spending. You guys are already rocking it; I bet it’s unbelievable what would happen if the tracking was implemented. Sounds like a great combination–budget liberally, spend conservatively. They complement each other well! I think one reason people abandon budgets is that they feel deprived and they get tired of feeling ‘naughty’ when the spend more than they’ve budgeted. Your approach would help keep those feelings away. I agree. I practice this rule and have a “buffer” budget for unexpected expenses, like the 3 birthday gifts (son’s school friends) we have to buy this month. Ah welcome back to school, and birthday party invites! Absolutely. Initially, it’s way easier to write a budget where you don’t spend much at all… It brings some artificial peace. Once surrendering comes into the equation, though… Initially artificially inflating your projected spending is far more rewarding. And leads to greater safety when those unexpected expenses crop up. That makes sense. I think most people can relate with budgeting x amount then spending more. This is why most budgets fail. Being realistic and then some is better than under-budgeting. Exactly. It is possible to be too much of an idealist when it comes to budgeting… If you can’t back it up with corresponding spending habits of a recipe for disaster. I completely agree with these rules and I also understand the joy that going through a budget can bring…fellow dork, here. I think that a lot of budgets fail because people don’t overestimate their spending a little. If you leave yourself too thin it become too grueling and disappointing! Yay for fellow budgeting dorks! So agree with budgeting liberally. I love it at the end of the month when we are under in all of our budget categories and we can assign more money to our savings account. Its also great that if an unexpected expense comes up we are not so tight in our budget that we can’t manage it. It’s definitely a good feeling! Stressing in the front end is so much better than stressing at the end of the month. I think this is the best budget philosophy there is! I’m starting to think a little about home ownership and since my dad is in construction, I’ve been asking him a lot about how to budget for renovations/repairs and I’ve definitely learned to take add at least 10% to any repair estimate and take 10% off the top of whatever I say the top of my budget is. Those are awesome tips! And it definitely translates beyond just the typical monthly budget. Thanks for bringing it to the next level! This is the only way I can make my budget work! I always overbudget for food and utilities. Whatever is left moves on to next month’s. Great philosophy! Those are the two biggies IMHO. If you mess up with your cell bill, you’ll survive, but without food or running water? Not so much. I tend to overbudget too just to be on the safe side. I have let things slip a little with my budget spreadsheet and I really need to get back on track with it! I feel much more at peace knowing my numbers tally up in there! To err is human… I think we’ve all been there! Getting back on track really does make the day to day so much more peaceful, though. Great philosophy…it’s simple and it works. I tend to overbudget, but only slightly. But I make sure that I have all the possible categories covered, like home repairs, car repairs, seasonal gifts, taxes, and things like that. When I compare my actual spending against budget, I do it not only for the past month, but for a rolling 12-month average over the previous year so I can really see if my budget numbers are accurate. When it’s time to adjust my budget, I use those averages to help me see what a realistic month looks like. I really like the idea of budgeting liberally. It can be really hard though, especially when you have loads of expenses lined up. I will give this a go an thank you for sharing this super smart tip. This is great! I love following specific rules, so I like having this to think of as the Golden Rule :). I need to work more on the “Budget Liberally” side, but I am a huge fan of the “Spend Conservatively” side. 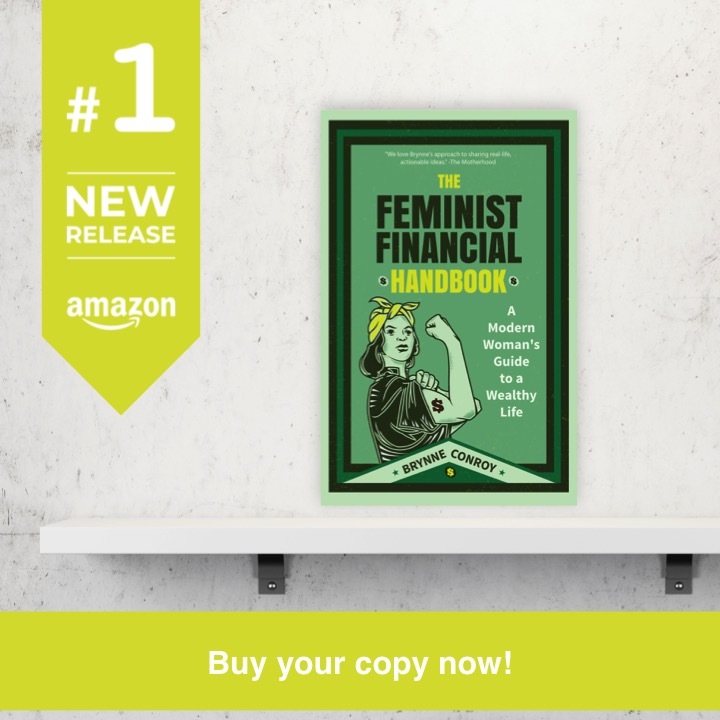 I think it is amazing that we have so much control over how much we spend, and I want to make sure that I am utilizing this control to maximize my financial well-being! One of these days I’m going to have to try seriously budgeting just to see how much it saves us. We’ve always lived way below our means as far as house and car, and then not worried about the day to day expenses. Now we are at a point in life where I think we should save a little more but every month there is something that takes our extra money (we have some savings taken out before we see it). Oh, it helps so much! I bet you’ll be amazed how quickly you reach your savings goals once you get started. Pay yourself first. Always. Whatever the amount each payday. $5 or $50 or $500. This way, you don’t need to cut coupons or you can do it if you want to.